Where should I go for the best custom stickers in Portland, Oregon? Make the professional decision and choose the experts at Heart HART Mind Soul custom screen printing. From extended life bumper stickers to full color CMYK prints and specialty embossed foil we have it all. With almost twenty years in the custom screen printing and sticker industry Heart Hart Mind Soul and the HMS nation understand what it takes to produce quality custom stickers every time. So when you find your self asking, “Where should I go for custom stickers?” remember the industry experts at Hart Mind Soul. Backed by our 100% satisfaction guarantee, you won’t find a better custom sticker provider around. Believe me, we checked. So what are you waiting for? High quality custom stickers are just a few clicks away. Tap on any of the images or links in this post to request a FREE custom sticker quote from Hart Heart Mind Soul and the HMS nation. 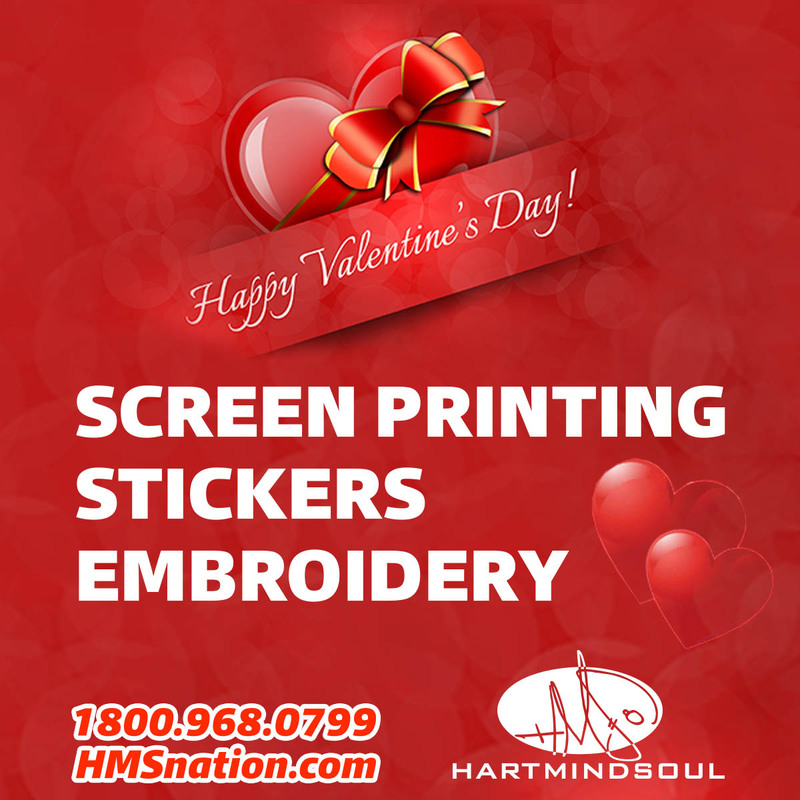 custom stickers, Hart Mind Soul, Heart Mind Soul, hms nation, valentines sticker special. Bookmark.